VC’s have just changed the ~50-year old social contract with startup employees. In doing so they may have removed one of the key incentives that made startups different from working in a large company. For most startup employee’s startup stock options are now a bad deal. In tech startups stock options were here almost from the beginning, first offered to the founders in 1957 at Fairchild Semiconductor, the first chip startup in Silicon Valley. As Venture Capital emerged as an industry in the mid 1970’s, investors in venture-funded startups began to give stock options to all their employees. On its surface this was a pretty radical idea. The investors were giving away part of their ownership of the company — not just to the founders, but to all employees. Why would they do that? Because startups didn’t have much cash and couldn’t compete with large companies in salary offers, stock options dangled in front of a potential employee were like offering a lottery ticket in exchange for a lower salary. Startup employees calculated that a) their hard work could change the odds and b) someday the stock options they were vesting might make them into millionaires. Investors bet that by offering prospective hires a stake in the company’s future growth- with a visible time horizon of a payoff – employees would act more like owners and work harder– and that would align employee interests with the investor interests. And the bet worked. It drove the relentless “do whatever it takes” culture of 20th century Silicon Valley. 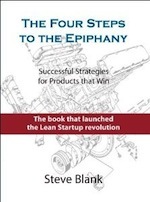 We slept under the tables, and pulled all-nighters to get to first customer ship, man the booths at trade shows or ship products to make quarterly revenue – all because it was “our” company. While founders had more stock than the other employees, they had the same type of stock options as the rest of the employees, and they only made money when everyone else did (though a lot more of it.) Back then, when Angel/Seed investing didn’t exist, to get the company started, founders put a lot more on the line – going without a salary, mortgaging their homes etc. This “we’re all in it together” kept founders and employees aligned on incentives. The mechanics of a stock option was a simple idea – you received an option (an offer) to buy a part of the company via common stock options (called ISOs or NSOs) at a low price (the “strike price”.) If the company was successful, you could sell it at a much higher price when the company went public (when its shares were listed on a stock exchange and could be freely traded) or was acquired. You didn’t get to own your stock options all at once. The stock trickled out over four years, as you would “vest” 1/48th of the option each month. And just to make sure you were in the company for at least a year, with most stock option plans, unless you stayed an entire year, you wouldn’t vest any stock. Not everyone got the same amount of stock. The founders got most of the common stock. Early employees got a smaller percentage, and later employees received even a smaller piece – fractions of a percent – versus the double digits the founders owned. In the 20th century, the best companies IPO’d in 6-8 years from startup (and in the Dot-Com bubble of 1996-1999 that could be as short as 2-3 years.) Of the four startups I was in that went public, it took as long as six years and as short as three. One other thing to note is that all employees – founders, early employees and later ones – all had the same vesting deal – four years – and no one made money on stock options until a “liquidity event” (a fancy word to mean when the company went public or got sold.) The rationale was that since there was no way for investors to make money until then, neither should anyone else. Everyone—investors, founders and startup employees—was, so to speak, in the same boat. Much has changed about the economics of startups in the two decades. And Mark Suster of Upfront Capital has a great post that summarizes these changes. The first big idea is that unlike in the 20th century when there were two phases of funding startups–Seed capital and Venture capital–today there is a new, third phase. It’s called Growth capital. Instead of a startup going public six to eight years after it was founded to raise capital to grow the company, today companies can do $50M+ funding rounds, deferring the need for an Initial Public Offering to 10 or more years after a company is founded. Suster points out that the longer the company stays private, the more valuable it becomes. And if during this time VC’s can hold onto their pro-rata (fancy word for what percentage of the startup they own), they can make a ton more money. The three examples Suster uses – Salesforce, Google and Amazon – show how much more valuable the companies were after their IPOs. Before these three went public, they weren’t unicorns – that is their market cap was less than a billion dollars. Twelve years later, Salesforce’s market cap was $18 billion, Google’s was $162 billion, and Amazon’s was $17 billion. To Suster’s point, it isn’t that startups today can’t raise money by going public, it’s that their investors can make more money by keeping them private and going public later – now 10-12 years. And currently there is an influx of capital to do that. The emergence of Growth capital, and pushing an IPO out a decade or more, has led to a dramatic shift in the balance of power between founders and investors. For three decades, from the mid-1970s to the early 2000s, the rules of the game were that a company must become profitable and hire a professional CEO before an IPO. That made sense. Twentieth-century companies, competing in slower-moving markets, could thrive for long periods on a single innovation. If the VCs threw out the founder, the professional CEO who stepped in could grow a company without creating something new. In that environment, replacing a founder was the rational decision. But 21st century companies face compressed technology cycles, which create the need for continuous innovation over a longer period of time. Who leads that process best? Often it is founders, whose creativity, comfort with disorder, and risk-taking are more valuable at a time when companies need to retain a startup culture even as they grow large. 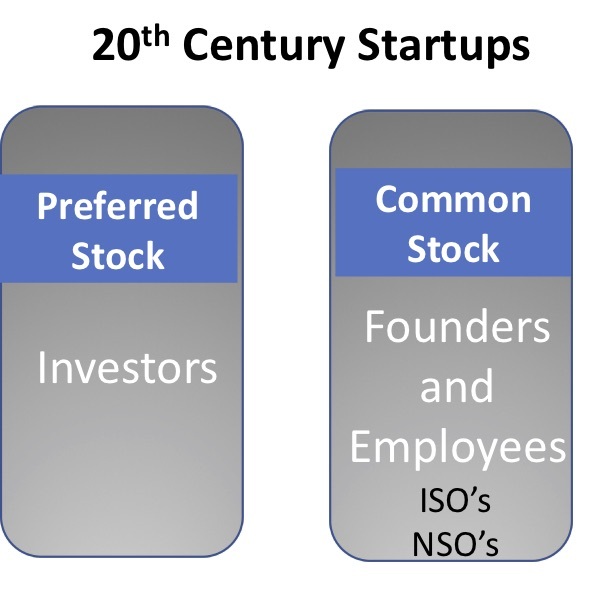 While founders in the 20th century had more stock than the rest of their employees, they had the same type of stock options. Today, that’s not true. 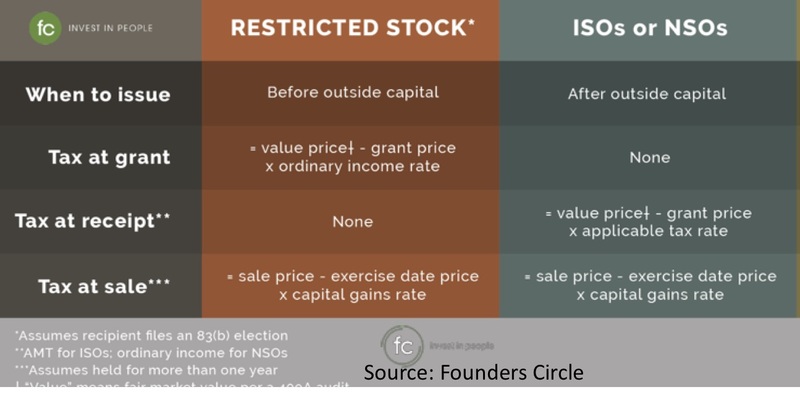 Rather, when a startup first forms, the founders grant themselves Restricted Stock Awards (RSA) instead of common stock options. Essentially the company sells them the stock at zero cost, and they reverse vest. In the 20th century founders were taking a real risk on salary, betting their mortgage and future. Today that’s less true. Founders take a lot less risk, raise multimillion-dollar seed rounds and have the ability to cash out way before a liquidity event. On top of the founder/early employee stock disparity, the VC’s have moved the liquidity goal posts but haven’t moved the vesting goal posts for non-founders. Consider that the median tenure in a startup is 2 years. By year three, 50% of the employees will be gone. If you’re an early employee, today the company may not go public until eight years after you vest. First, as the company raises more money, the value of your initial stock option grant gets diluted by the new money in. (VC’s typically have pro-rata rights to keep their percentage of ownership intact, but employees don’t.) So while the VCs gain the upside from keeping a startup private, employees get the downside. Second, when IPO’s no longer happen within the near time horizon of an employee’s tenure, the original rationale of stock options – offering prospective hires a stake in the company’s future growth with a visible time horizon of a payoff for their hard work – has disappeared. Now there’s little financial reason to stay longer than the initial grant vesting. Third, as the fair market value of the stock rises (to what the growth investors are paying), the high exercise price isn’t attractive for hiring new employees especially if they are concerned about having to leave and pay the high exercise price in order to keep the shares. The End of the High-Commitment/High-Performance Work System? In the academic literature, the work environment of a startup is called a high-commitment/ high-performance work system. This is a bundle of Human Resources startup practices that include hiring, self-managing teams, rapid and decentralized decision-making, on-boarding, flexible work assignments, communication, and stock options. And there is evidence that stock options increase the success of startups. Successful startups need highly committed employees who believe in the goals and values of the company. In exchange for sharing in the potential upside—and being valued as a critical part of the team, they’re willing to rise to the expectation of putting work and the company in front of everything else. But this level of commitment depends on whether employees perceive these practices to be fair, both in terms of the process and the outcomes. VCs have intentionally changed the ~50-year-old social contract with startup employees. At the same time, they may have removed one of the key incentives that made startups different from working in a large company. While unique technology or market insight is one component of a successful startup everyone agrees that attracting and retaining A+ talent differentiates the winners from the losers. In trying to keep companies private longer, but not pass any of that new value to the employees, the VC’s may have killed the golden goose. In the past the founders and employees were aligned with the same type of common stock grant, and it was the VCs who got preferential stock treatment. Today, if you’re an employee you’re now are at the bottom of the stock preference pile. The founders have preferential stock treatment and the VC have preferred stock. And you’re working just as hard. Add to that all the other known negatives of a startups– no work-life balance, insane hours, inexperienced management, risk of going out of business, etc. That said, joining a startup still has a lot of benefits for employees who are looking to work with high performance teams with little structure. Your impact likely be felt. Constant learning opportunities, responsibility and advancement are there for those who take it. If you’re one of the early senior hires, there’s no downside of asking for the same Restricted Stock Agreements (RSAs) as the founders. And if you’re joining a larger startup, you may want to consider those who are offering restricted stock units (RSUs) rather than common stock. One possibility is to replace early employee (first ~10 employees) stock options with the same Restricted Stock Agreements (RSAs) as the founders. For later employees make sure the company offers “refresh” option grants to longer-tenured employees. Better yet, offer restricted stock units (RSUs). Restricted Stock Units are a company’s promise to give you shares of the company’s stock. Unlike a stock option, which always has a strike (purchase) price higher than $0, an RSU is an option with a $0 purchase price. The lower the strike price, the less you have to pay to own a share of company stock. Like stock options, RSU’s vest. But to keep employees engaged, they ought to be allowed buy their vested RSU stock and sell it every time the company raises a new round of funding. I’ve heard sarbanes oxley fingered as the cause of delayed IPOs. Thoughts? Accounting and compliance costs did go up, but there are plenty of lesser known IPOs that are fine with the costs. The Growth Capital phase is driven by availability of large amounts of private capital. Previously such large amounts were either not available, or the terms were not favourable. A reasonable question to ask is how did we get from there to here? How did this social contract (which worked quite well) change? It seems that the only liquidity event where non-RSA employees can get any value is an IPO. In a merger, the acquirer is under no obligation to value the RSUs at all. Everything is negotiated on a going forward basis which begs the question why would someone join under such terms? This is then compounded by the fact that companies don’t IPO as often now. So again, how did we get from there to here? If the RSUs are vested than they receive the M&A proceeds like any other equity holder. No, the proceeds from an M+A are governed by the seniority, liquidation preferences and participation rights of the equity holders. As an early engineer at a startup, you may hold RSUs which look like 1% of the outstanding shares on paper and still get nothing at a liquidity event. The funders and founders could cut you out entirely. It’s even worse than that because since they are RSUs rather than paleo stock options, you can’t even file an 83b election. So you’ll have to pay income taxes on those RSUs as they vest and then still risk getting nothing if your preference isn’t in the money. Apparently RSUs were created in the 2003-6 time frame as a result of the Enron era accounting scandals. But I have no idea why anyone would subject themselves to this. For a startup (not growth stage) it seems utterly insane. Wall Street, meaning investment banks, isn’t really the loser from delayed IPO’s. It’s average (nonaccreditted) investors. They are shut out of the capital appreciation that accrues from the super growth phase. A few thousand people, GP’s at VC and PE firms, and those endowment funds, public employee pensions, and family offices lucky enough to be LP’s at tier 1 funds. The new Gilded Age. fixed. bad day for proofreading. Don’t forget that the Alternative Minimum Tax is another factor that keeps ISO optionholders stuck when they leave and try to exercise their options to keep their shares. You can often afford to pay the strike price, but the tax bill is scary, and you “can’t sell” according to the agreement. Although, there are many ways around this, and as long as you don’t CC the CEO and general counsel on your sale email, they will never notice, and they don’t want to get involved in this type of lawsuit. Finally, the incentive is for founders and investors to handcuff their employees as much as possible. Why would you want to give early exercise to people so they can freely leave without a tax bill? Why would you want a liquidity event where people cash out and leave? Check out the Employee Stock Option Fund (www.esofund.com), we help employees fund the cost of exercise and any taxes. Our funding is on a non-recourse basis so we can help alleviate any risk (especially given the long time to exit that is mentioned here). We have noticed all these issues as well and have come up with a great solution that doesn’t limit your upside! I’ve been watching this for years, and my last employer was a startup that never got to IPO. I think too many folks are doing it wrong. The too common motivation seems to be “I’ll work for a start up. I’ll put in 90 hour weeks for really low (or no) pay. But we’ll IPO, and I’ll get filthy rich from my stock options!” Save that you *won’t*. The vast majority of startups never reach the stage of being able to IPO, and some that do IPO at a price that leaves those options underwater. Other startups wind up getting acquired by a bigger well healed company that wants to be in the market the startup targets and finds it faster, simpler, and cheaper to just buy the startup than to do it from scratch themselves. (I’ve seen startups where my assumption was that they *planned* to be acquired instead of IPO.) The founders make out. Later employees don’t. If you aren’t doing it for love, a startup is probably the wrong place to work. Interesting read. 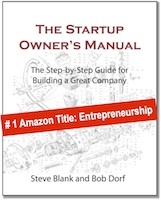 Early employees make the startup become a great company. They desesrve the same or at least fair value for their work. I’m sure not all startups and great VCs will tolerate greed behavior. 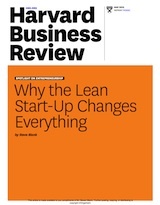 Very interesting summary and useful for business formation and leadership development. As an Entrepreneur, Mentor, Advisor, Investor with new tech companies, inevitably there is a “cap table” discussion around fairness issues. I like to reframe the discussion from percentages to an eyes open value discussion, but once that is accomplished, this fresh look at ways to compensate forward value is a great tool to consider using.